The beauties of Sonoma Mountain at sunset….from Meg’s point of view. 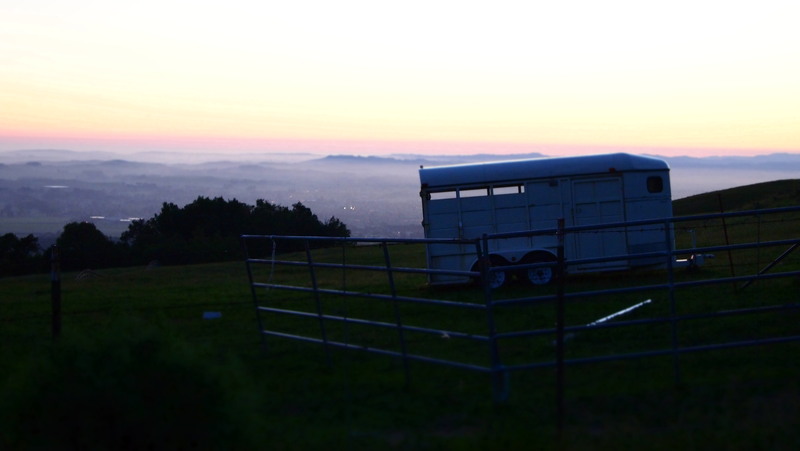 A horse trailer on the side of the road, with a sunset view of the valley down below. 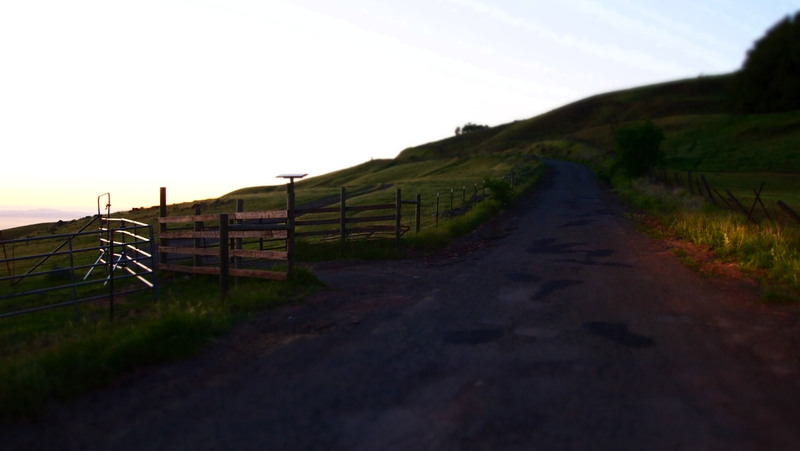 Sonoma Mountain Road at sunset. This entry was posted in Photography and tagged beautiful views, Olympus E-PL1, Petaluma, Photography, Sonoma Mountain, sonoma sunset. Bookmark the permalink. I love these photos. I am fascinated by fog, where it sits–sometimes high, sometimes low. Thanks, Meg.